This Falcon just came in on consignment from the original owner, this amp was purchased here at George’s Music Center. 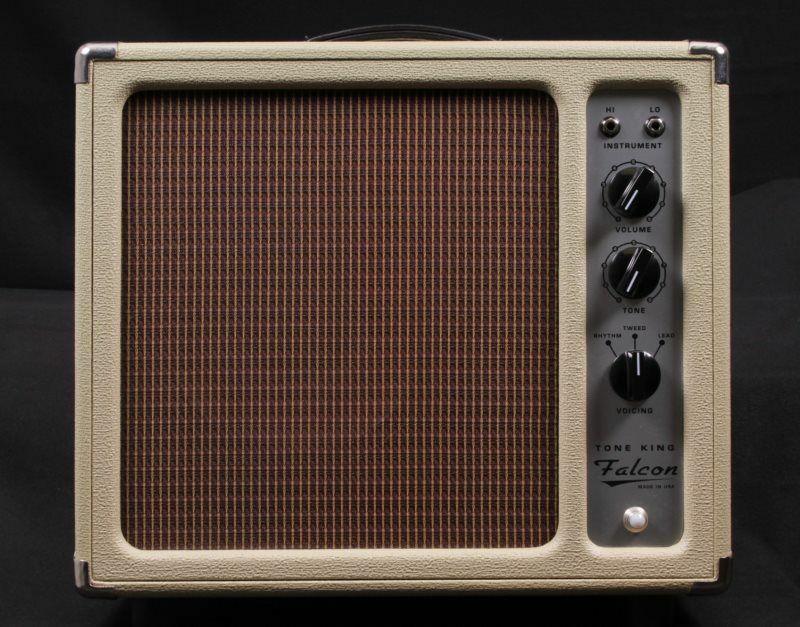 The Falcon is a cool amp with great vintage tones. This is a mint example. The amp was lightly used around the house, shows no signs of wear at all. This a great way to add this amp to your arsenal without paying full price!! 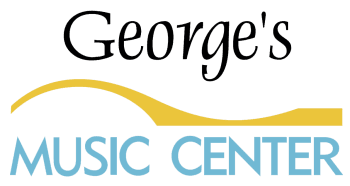 Consignment sale, as such, ALL SALES ARE FINAL!! 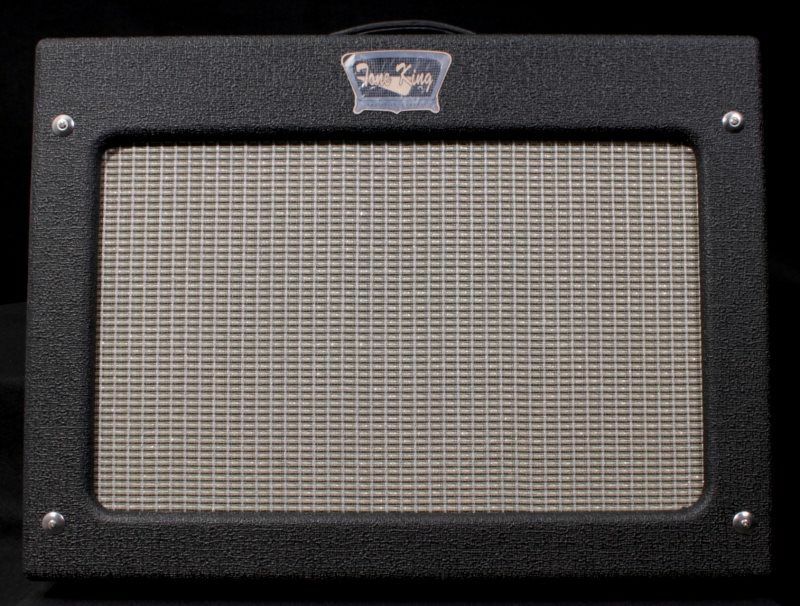 The 12W, 1×10″ Falcon is powered by two 6V6 tubes in a unique ultralinear configuration to deliver the funky mojo and old-school tone of vintage low-watt amplifiers of the 50’s and 60s. Its single channel preamp has a 3-position voicing switch for three distinct vintage voicings. The built-in Ironman power attenuator features a tuned reactive load to deliver the same great tone and feel at any volume level. 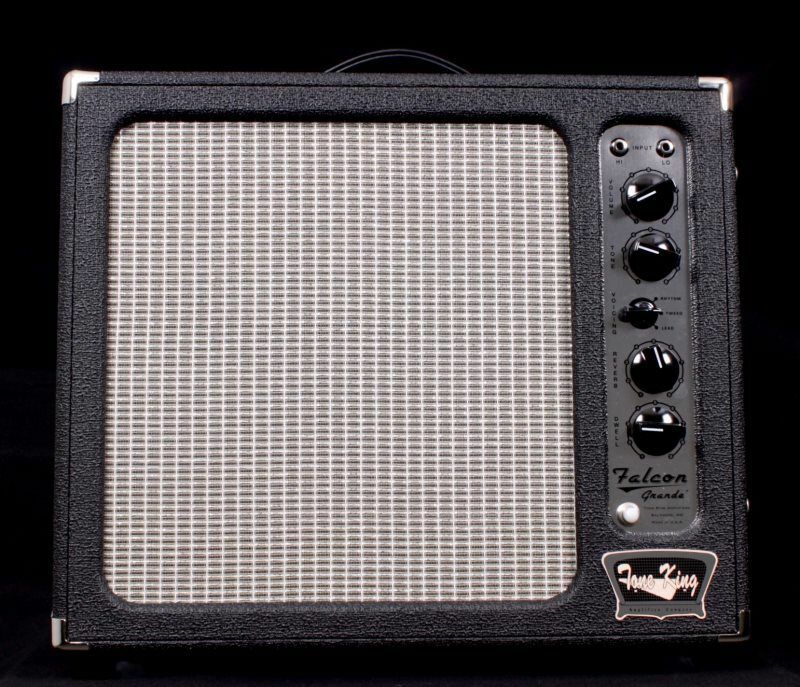 The 20W, 1×12″ Falcon Grande combines the sonic purity of a simple Volume/Tone single channel design with the flexibility of a footswitchable 3-position voicing switch, to deliver 3 distinct flavors of old-school vintage tone inspired by classic amps of the ’50s and ’60s. By using two 5881 output tubes in an ultralinear configuration, combined with a highly resonant tuned speaker cabinet, the Falcon Grande creates its own unique voice – deep, rich, and totally authentic vintage. An innovative integral acoustic lens controls the dispersion of high frequencies to deliver a lush warmth and lively presence without harsh brightness. "In 2012 I came out with the Falcon, where I got deep into some old school, Tweed meets Supro kind of tones. I really liked that direction and had a lot of fun with that amp, which is just so much fun to play. This year my goal was to create a bigger format amp that takes the Falcon recipe and applies it to more familiar voicings, like those of the Imperial. The Sky King layout is similar to the Imperial. It's just that the tone is a kind of a combination of the Imperial and the Falcon. I took the voicings of the Imperial, which cover a lot of ground - you get that nice 1960's Blackface kind of sound for the cleans, and the lead channel goes from a real nice tweed to an early Marshall kind of thing - and just gave that the mojo and texture that I have with the Falcon, that just makes it so fun to play. And there's a bonus: I added a pentode/ultralinear switch, to deliver those old vintage voicings but also modern voicings. So you can get all that funky mojo but you can also switch over to pentode mode and get a nice, crisp, sharp attack. 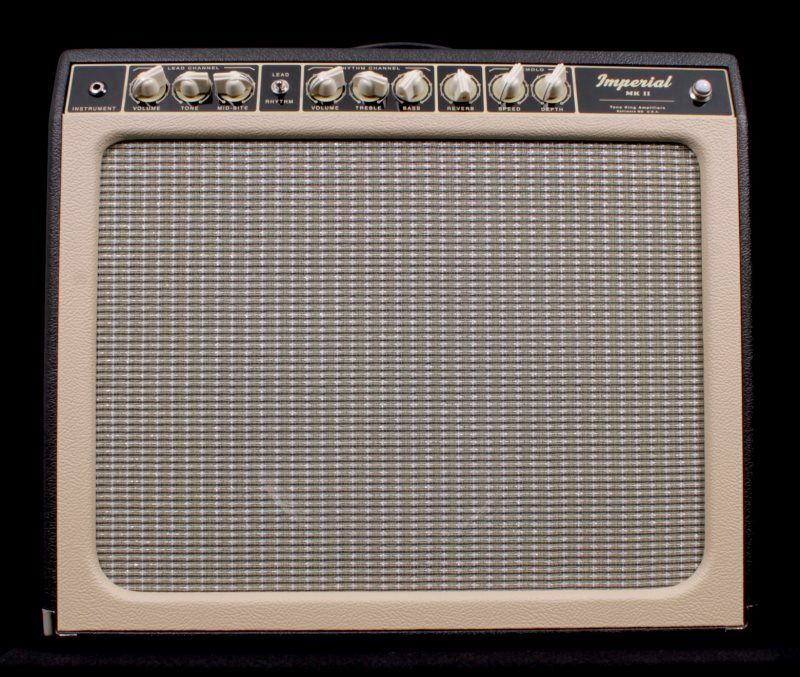 The Sky King's basic clean tone is a lot like the Imperial, but when you play it you can hear that it doesn't quite have the Imperial's sharpness. Instead, the Sky King has this real rounded quality; this real syrupy kind of thing - like what you have with the Falcon. But the cool thing is that you can get the Imperial kind of thing as well. Just go to Pentode and you'll get that real nice, 1960's Fender-style sharp attack. The Sky King's lead channel tones are much like the Imperial. It's got that same kind of mid-bite thing. If you turn it all the way down it's a little more tweed, but you've got 6L6's, so it's going to give you a little different sound, with a little more beef to it. You can really hear the compression in the Sky King, too. Just like the Imperial, you can crank the mid-bite up and it brings up a peak in the upper midrange, tightens up the bass - but you still get that range. And then there's the built-in Ironman attenuator. It adds real value to this amp in its own right, but I took it a step further and gave it dual attenuation controls; one control for the rhythm channel and the other for the lead channel so you can match up the attenuation to perfectly meet your needs."